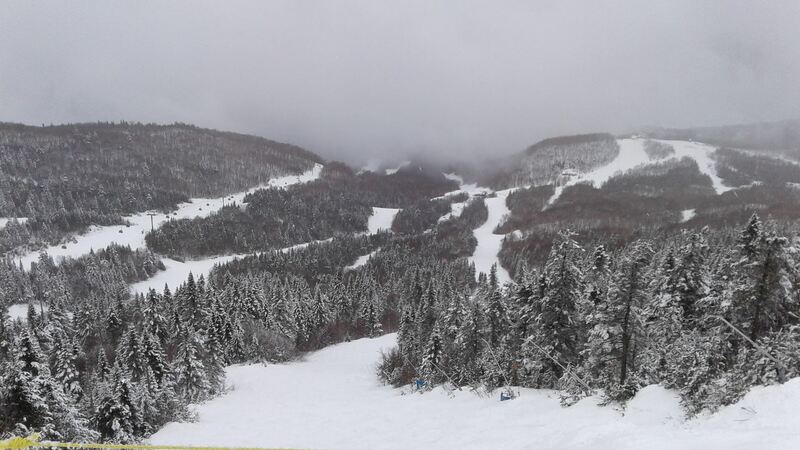 Well I had an airmiles ticket for Tremblant burning in my pocket and figured Friday would be the day. 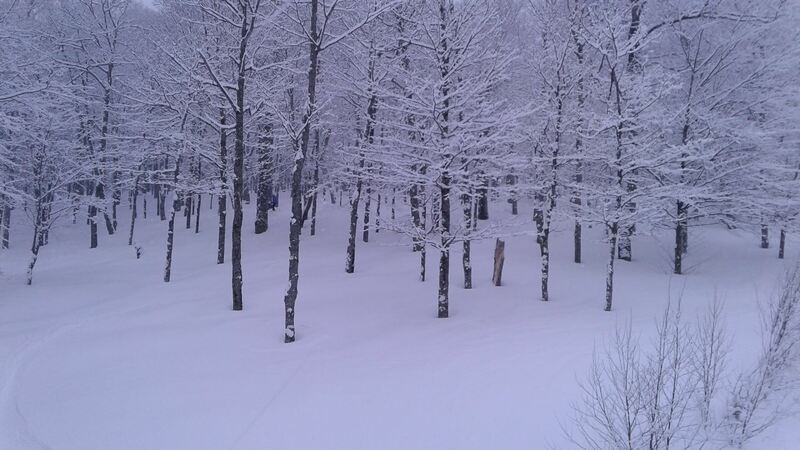 The weather was looking a little suspect but while it rained in Ottawa, Tremblant got 15cms over night. Heading out in the morning it was raining pretty hard but just after the turn off north on highway 323 it turned to snow and would snow for the rest of the day. We arrived just past 9 after a easy drive. 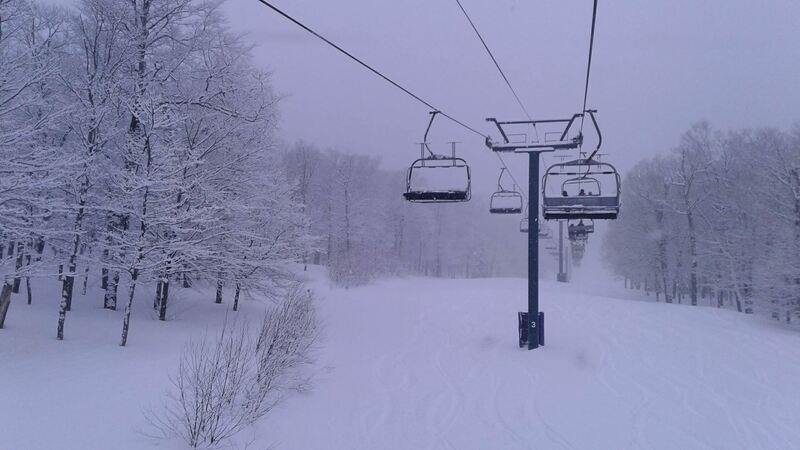 What luck 15cms of semi-dense powder, no lines, no wind and temperatures around zero! We did some north side trails before hitting the Edge for its 9:30 opening. 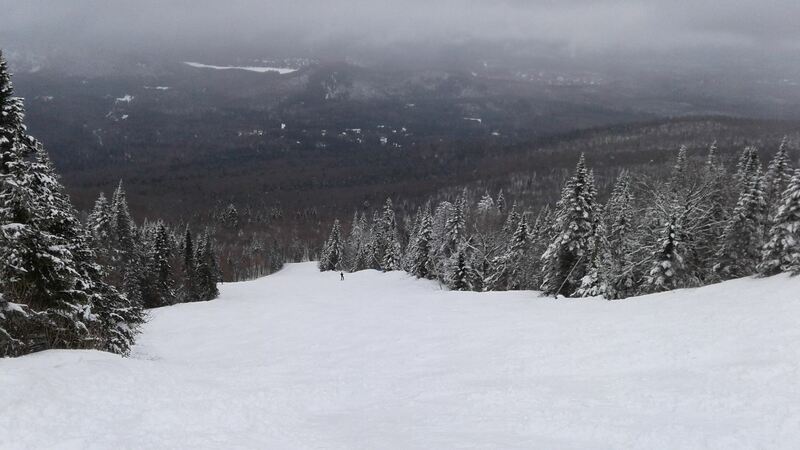 Conditions were amazing, so soft, so fun. Later in the day things would get a little more sticky as the temps rose especially on the bottom half of the trails. All 102 runs were open and we got our fill. 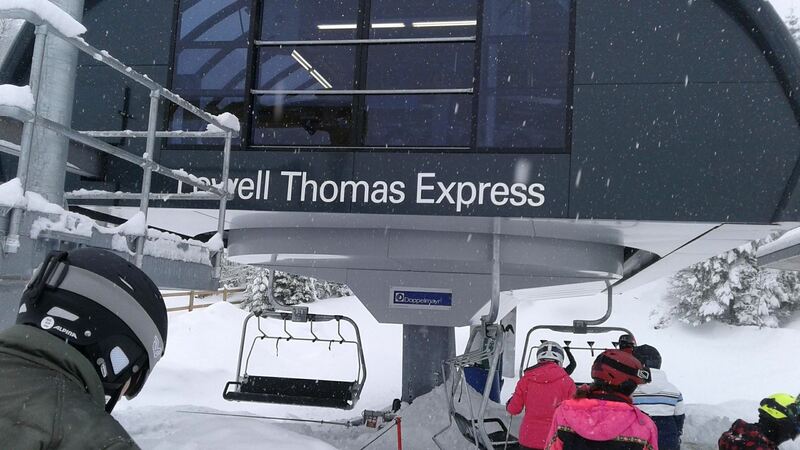 The new Lowell Thomas Express Quad is fast. 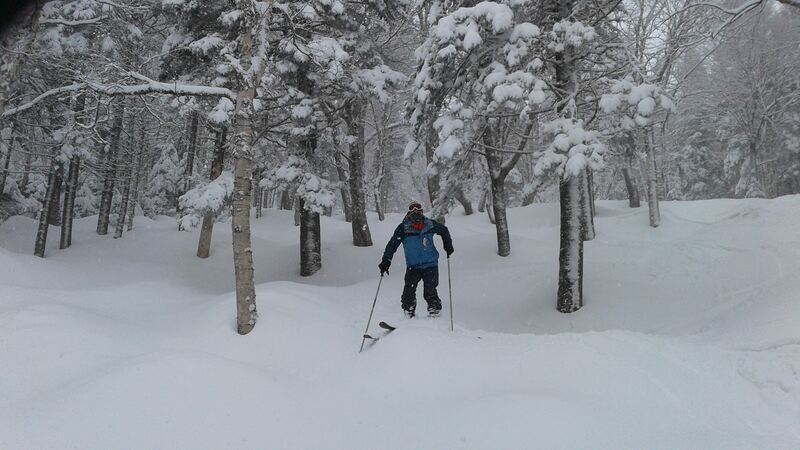 We hit a lot of untouched glades in the morning. Wow, looks like you had the place to yourself in some of those photos! Still plenty of snow up there. 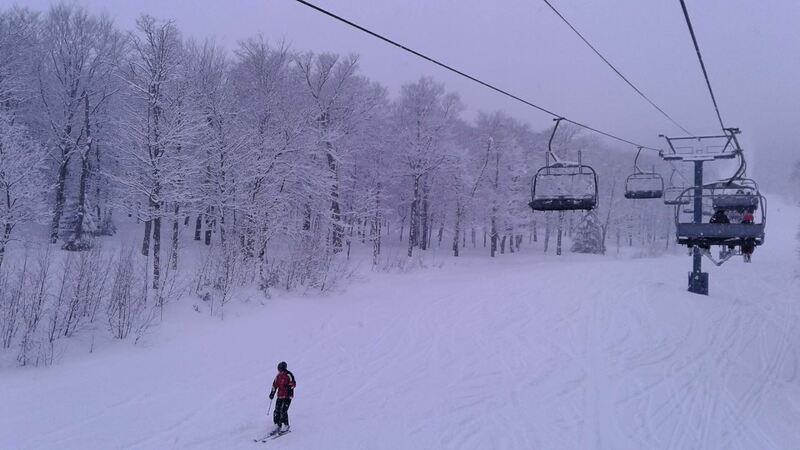 Those glades look sweet too. 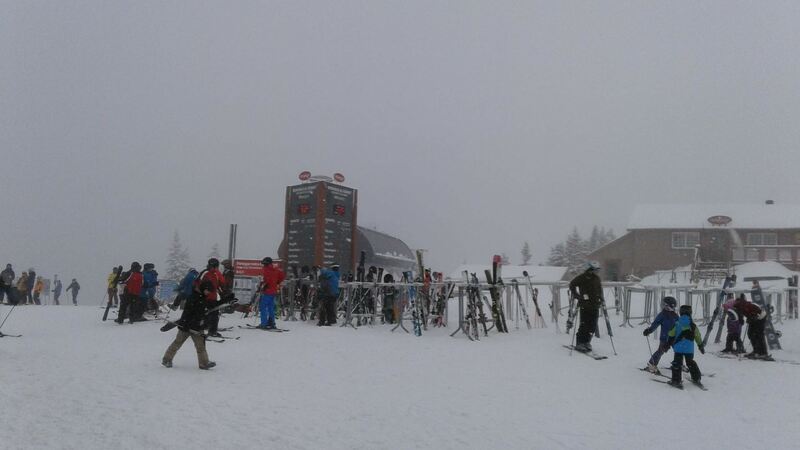 Was it more lighter powder at the top and heavier wet stuff at the base? Nice day. 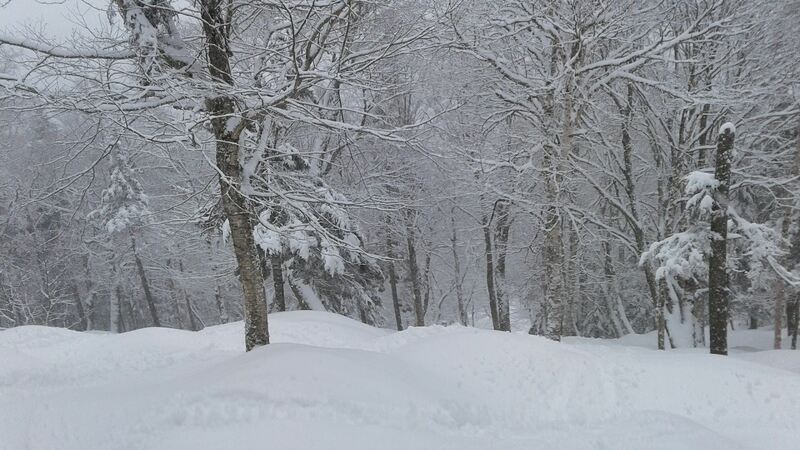 @Paul yes it’s was pretty quiet for a Friday powder day. I guess people thought it was raining not snowing. 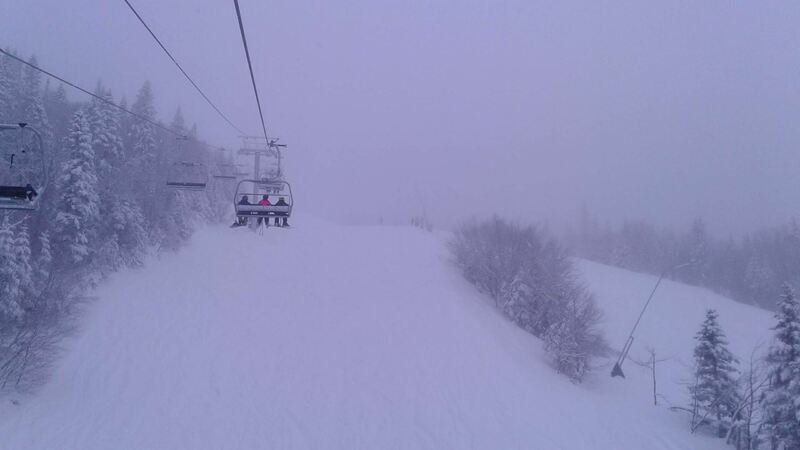 The snow was a little heavy/sticky on the bottom half of the mountain. A real work out later in the day. 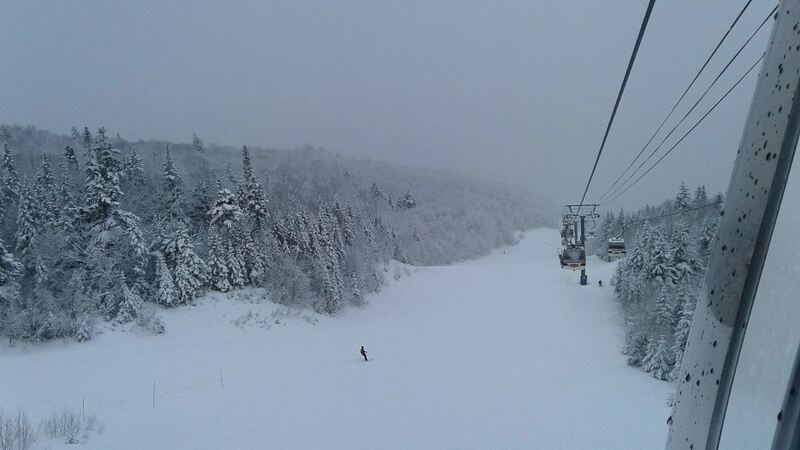 Always snowing at Tremblant. 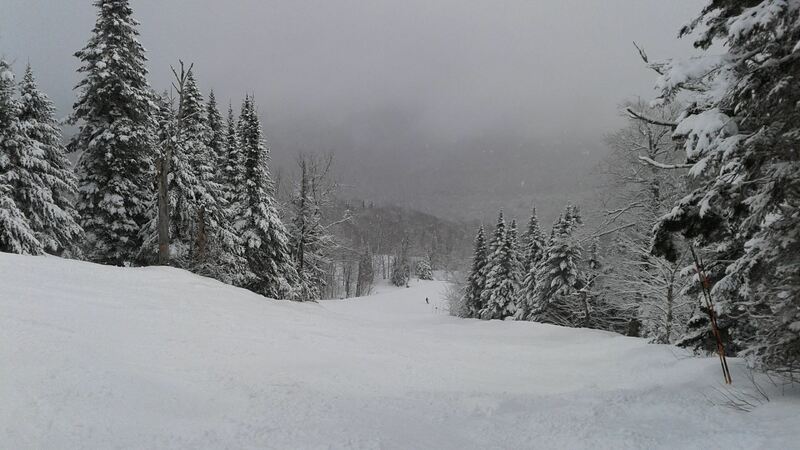 Glades look to be in great condition. 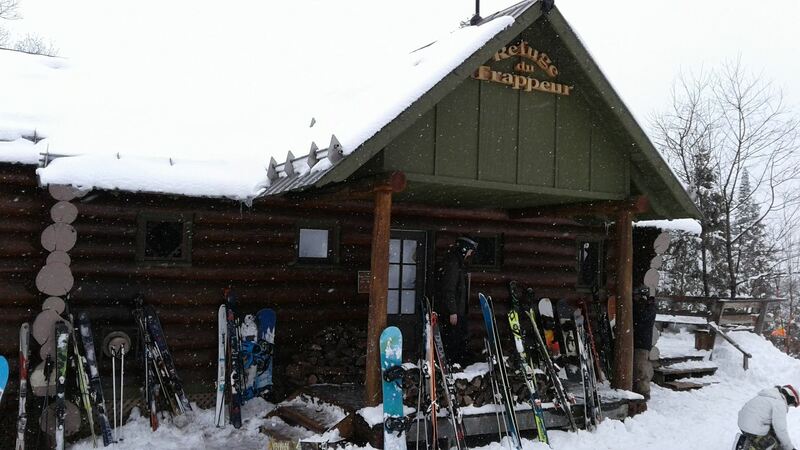 How do you like the new LTE lift and the expanded Grand Manitou summit chalet? Is there a big difference in space or is it still hard to get seats? The LTE quad is great, super fast and smooth. 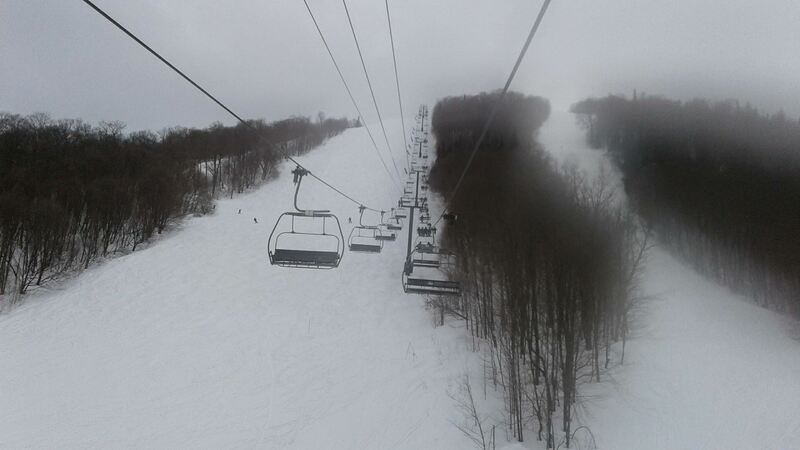 As you can see from the one photo inside the Grand Manitou it looked busy and Friday was there was no lines for the lifts. 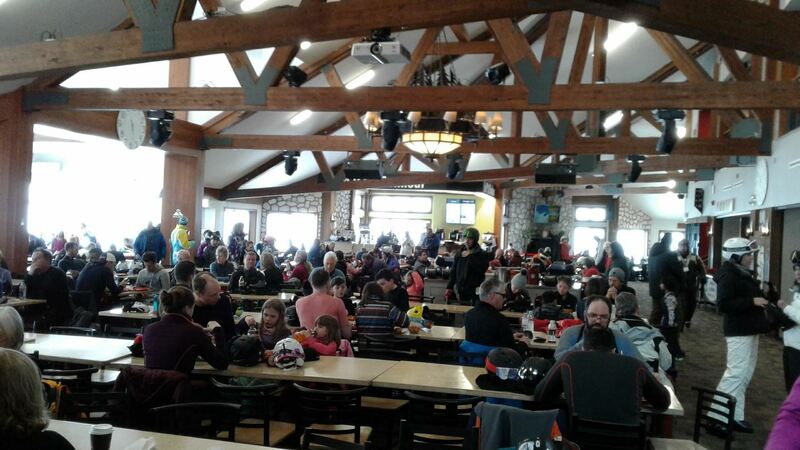 I suspect on a weekend the lodge it still packed. 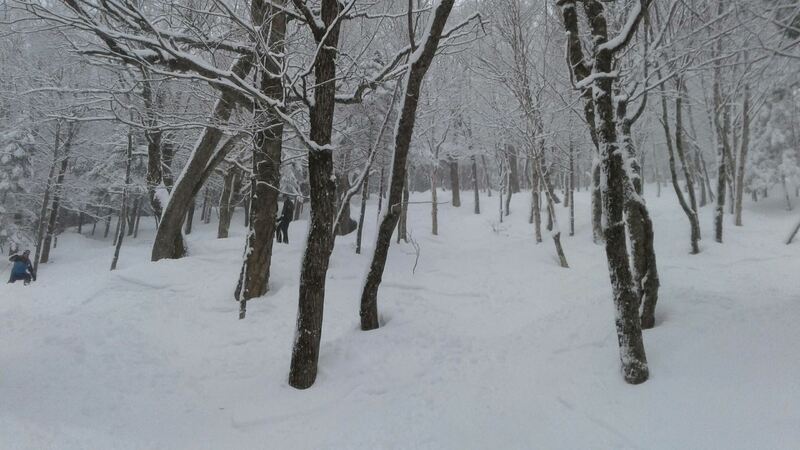 I did lunch at the cabin midway down the mountain. Much better vibe.